We look forward to welcoming new volunteers to join us, so that we can walk together on the path of compassion and wisdom. New Jersey has the highest population density per square mile, and the most dense system of highways and railways in the U.S., making it a fitting home for Tzu Chi USA’s Mid-Atlantic Regional Office. Our story began in 1993, when Sister Debbie Chen, who later became the region’s first Executive Director, hosted the New York Chapter’s first tea party in her home. In 1994, she followed Master Cheng Yen during her trip across Taiwan. The experience led to her decision to establish Tzu Chi in New Jersey. 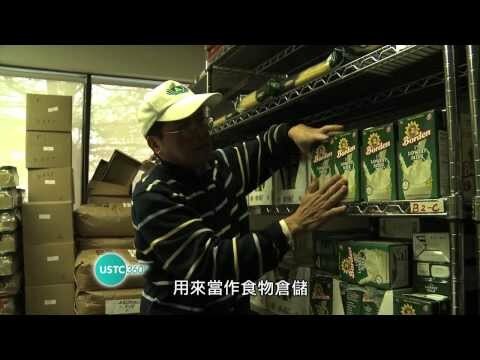 In 1995, when Tzu Chi USA officially established a Service Center in New Jersey, there were 13 supporters from 3 families. A year later, with 1,000 supporters and 150 volunteers, the Service Center was designated as Branch Office and moved into a rented office in Boonton, NJ. In 2000, a year after being designated the Mid-Atlantic Regional Office, volunteers moved into their present home in Cedar Grove. The Mid-Atlantic Region serves New Jersey, Pennsylvania, Delaware, West Virginia, the Dominican Republic, and Guatemala. Following a series of natural disasters in 1998-99, our volunteers organized relief missions to the Dominican Republic and Guatemala, as well as Honduras and El Salvador, bringing Tzu Chi and its spirit of great love to these countries at the same time. After 9/11, volunteers from the region delivered water to relief workers at Ground Zero. They also established relief stations and distributed nearly 2 million dollars in cash to the families of victims. In 2012, when superstorm Sandy struck the east coast, volunteers from New Jersey worked with 12 different local townships and distributed $2,141,700 to 3,605 families, benefitting 11,708 people. Since 2001, our Mid-Atlantic Regional Office teams up with local religious groups to hold an annual Thanksgiving Interfaith Service, where people of all beliefs can come together to offer their thanks. Working in partnership with the Community Food Bank of New Jersey, our Regional Office also runs a vegetarian Food Pantry Program that has been in operation since 2010. Week after week, volunteers stock up the Food Pantry with dry food as well as fresh produce, which is then handed over with loving care to those in need. This is the spirit Tzu Chi volunteers from the Mid-Atlantic Region bring to whatever they undertake. We look forward to welcoming new volunteers to join us, so that we can walk together on the path of compassion and wisdom.